$24k reduced! $549k is a deal! Do not wait! 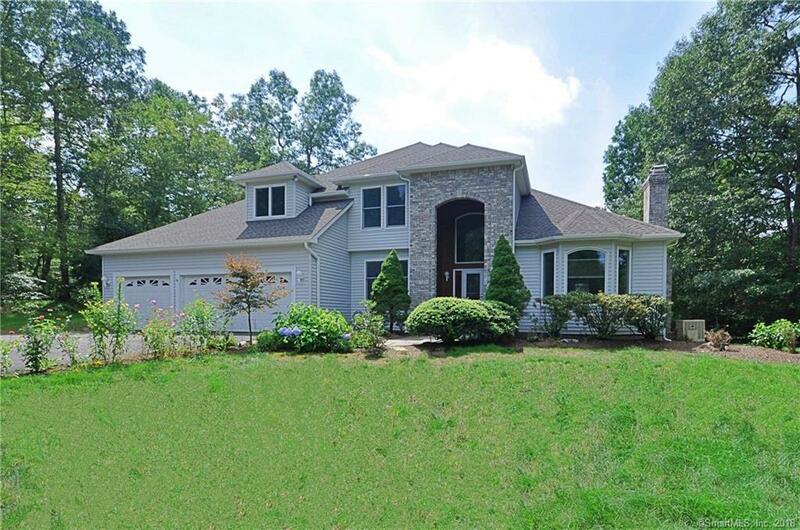 Strikingly beautiful 5/6 bdrm home,4 bth colonial w contemporary flair/style.This home covers all the bases w room for all. Dramatic entryway leads to the angled open stairwell, then to the open flr plan w walls of new windows. Gourmet kitchen w beautiful granite counters & designer glass backsplash offers a large center island & nice size breakfast Rm that opens to the great family Rm complete with fabulous built-ins, perfect for displaying collectibles. Enjoy all seasons as Natural light filters thru the picture sized windows. Living Rm w stone frplc opens to the vaulted dining Rm, perfect for entertaining.1st flr study w direct access to the full bthrm makes this room a perfect 1st flr bdrm if needed. Mastr bdrm sports new large windows & a gorgeous master bth/dual sinks, soaking tub & separate shower. Generous walk-in closet w built-ins affords great space. Bamboo flrs on the 2nd flr is a a nice touch. Guest bthrm offers dual sinks w granite counters. Finished Walk-Out LL adds 1100sqft w Rec Rm,media/gym area, a generous sized bdrm w walk-in closet & full bath. 6 potential bdrms if you use the 1st floor study as a guest bdrm (1500 gallon septic). Relax on your deck, soak in the hot tub or swing on the hammock. Access to Lake Lillinoah, forest preserve, walking/hiking trails & boat launch is a stroll away. Brand new roof! New windows/Hardwd flrs refinished, lower level has new carpeting.Full house generator. Owner paid $760k!, This home has so many great new improvements and features: Brand new roof $30k August 2018; new picture & bay windows $50k, main level hardwood floors refinished, full finished lower level with new lower level carpeting. Plenty of storage either in the oversized utility room or in the full stand-up attic. If you enjoy the outdoors, there are numerous walking trails down the road and Lake Lillinoah is just minutes away for fun in the sun. Do you like to fish or boat. Join the private Newtown boat launch affording access to the lake, complete with BBQ facilities and playground just minutes down Hanover Rd.